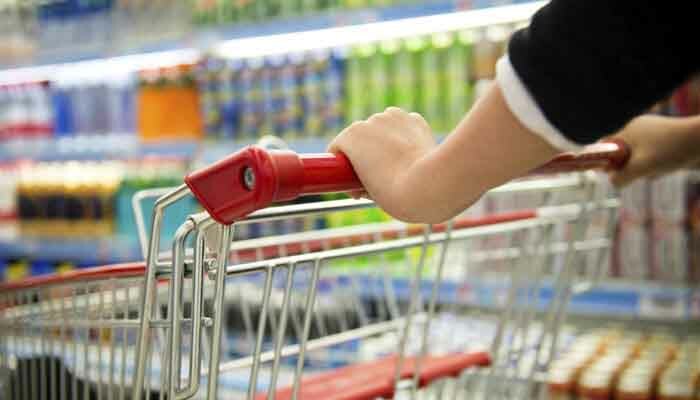 New Delhi: Tax rates for as many as 66 items including kitchen staples like pickles and mustard sauce under the ensuing GST regime were cut on Sunday to meet demands from various quarters as the country prepares for rollout of one-nation-one-tax regime in less than three weeks. The GST Council, which met for the 16th time today (Sunday), took up demands for revision in tax rates of 133 items but reduced it only for 66, including agarbatti, computer printers, cashews, children drawing books and school bags. In a relief to SMEs, the Council also increased the threshold of turnover for businesses which can opt for composition scheme to Rs 75 lakh, from Rs 50 lakh proposed earlier. Now traders, manufacturers and restaurant owners with turnover below Rs 75 lakh can opt for the composition scheme and pay taxes at 1, 2, and 5 per cent rates respectively. Jaitley said there were two objectives behind lowering the threshold. “We tried to maintain revenue neutrality to the extent possible because this can also mean some loss of revenue but it eases the burden on SMEs and small traders, restaurants. And it also reduces the burden on these three categories because these are mass job creators,” he said. As per the revised tax rates decided by the Council, movie tickets costing up to Rs 100 will attract 18 per cent tax, as against 28 per cent proposed earlier. Those above Rs 100 will continue to attract 28 per cent GST. Packaged food items like fruits and vegetable products, pickles, murabba, ketchup, mustard sauce, topping spread, instant food mixes and chutney, will attract 12 per cent GST, as against 18 per cent proposed earlier. Also, tax rates on cashew nuts have been cut to 5 per cent from 12 per cent. The GST on insulin and agarbatti has also been lowered to 5 per cent, from 12 per cent; while computer printers and school bags will attract 18 per cent rate, as against 28 per cent proposed earlier. Besides, children’s picture, colouring drawing books have been exempt from GST, as against the 12 per cent proposed earlier, while the levy on kajal has been cut to 18 per cent from 28 per cent. While GST on cutlery has been reduced to 12 per cent from 18 per cent, the rate on tractor components, plastic beads and plastic tarpaulins have been cut to 18 per cent, from 28 per cent. Besides, the tax rate on job workers in textile, diamond processing, leather, jewellery and printing, has been decided at 5 per cent, as against the normal 18 per cent GST rate for services. “These are items where job workers typically take the work home. Now, the normal GST rate for these services is 18 per cent but because in these sectors the rate itself has been reduced, for job work the rate has been fixed at 5 per cent so that the outsourcing through job work in these sectors could be encouraged,” he said. Giving reasons for lowering the tax rates, Jaitley said the objective was to maintain equivalence to the existing taxation level. “…In some cases, the fitment committee’s recommendation went beyond the equivalence principle because some items, which have been historically charged at a higher rate, today in the changed economic concept the burden requires to be reduced. So, after considering the recommendations, the GST Council has reduced the tax levels in 66 out of 133 cases,” he said. West Bengal Finance Minister Amit Mitra hailed today’s Council decisions saying common people gained from this and termed increasing the turnover limit for availing composition scheme and reduction in tax rates for cinema tickets as “people-centric measures”. Mitra, however, cautioned against rolling out the world’s largest fiscal reform in haste, and with “jugaad” as he pressed for deferring it by a month. The government aims to roll out GST from July 1 and Jaitley said the GST Council has completed discussion on most of the issues. “Irrespective of the date in which it starts, some people will say they are not ready, so they have no option but to get ready… You require an honest intent for that,” he said responding to a query that small traders and artisans were not technologically ready for meeting GST compliance. On the issue of review of GST rate on hybrid cars, Jaitley hinted that the tax rate will not be reviewed, saying the industry demands were not in sync with a study conducted by tax officers. “We have done a detailed study on auto industry demand and a paper has been made which will be circulated among members. And, if necessary, it would come up for discussion. The fact that is being presented (by the industry), according to the paper, is not correct,” Jaitley said. Asked if there would be any further revision of rates, the minister said the fitment committee and the GST Council have gone deep into all the cases and whatever rates have been decided are based on “informed reasons” and “detailed discussions”. “These broadly are the final rates… Just because somebody raises an issue does not mean you have to grant it,” he said. The Council also approved the accounts and record rules for the GST regime and in the next meeting on June 18, it will take up taxes on lottery and e-way bill for discussion. As regards composition scheme, Jaitley said the small and medium enterprises act as mass job creators and hence the industry demand was important. The composition scheme provides for a easier method of calculating tax liability and allows GST registration for dealers with turnover below the compounding cut-off. The scheme has been introduced to reduce the administrative cost associated with collection of tax from small traders. BMR & Associates Partner, Indirect Tax, Mahesh Jaising said that revision in tax rates demonstrates “the welcome approach of the GST Council in hearing industry’s issues and addressing concerns”.